This is it! Upgraded home with HUGE open lot! Beautiful 2 story with tons of extras! You'll love the open floorplan featuring the perfect entertaining kitchen w/ 5x7 island, extra cabs, 2 sinks, farmhouse sink, bar/wine fridge- top notch appliances too! Upstairs w/ 3 bedrooms, 2 baths up including HUGE master bdrm/ bath. Gorgeous Custom tile shower, double sinks, walk-through closet to laundry room (up). Super functional set up! Basement Is ready to finish the way you like. 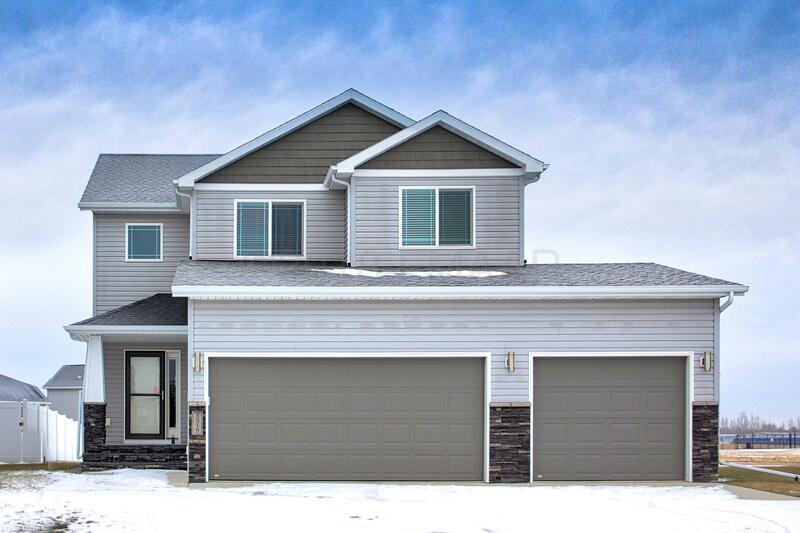 Extras include 22 x 30 poured concrete patio out back, shed, heated finished /painted garage and landscaping complete! Move right in and enjoy your new home! Dining Room: Easy access to HUGE backyard. Living Room: Expansive living room! Other: Large pantry w/ tons of shelving! Utility Room: Ready to finish!